This grade 9 project centered around grade 9 students telling the stories of new immigrants to Canada. The project was done in partnership with the Calgary Catholic Immigration Society. The hope of this project was to engage students in the issue of Canadian immigration and citizenship in an authentic way. It was an attempt to use technology to have students make meaningful connections with what happens outside of school. Rather than just reading about the immigration process, students were able to experience immigration first hand. The power of the project lay in students experiencing the change in quality of life many immigrants experience in moving their lives to a new country. One immigrant told our students, "I used to be funny in my first language. I'm not funny anymore." Our students were able to connect and identify with the stories of lives being changed through immigration to Canada. What Role Does the Library Play at CSS? 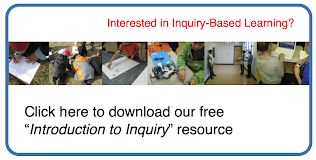 As CSS enters the second year of our full one-to-one laptop project, I’m curious about the changes in how students are accessing information resources for their research and inquiry projects. Is it still necessary for students to know how to access information in print resources? Does having the knowledge of how information is organized in libraries and in books provide a structure for understanding how information is organized on the Internet and in online databases? Is there a problem with our students having experience and knowledge of only online information sources when they go to other schools? 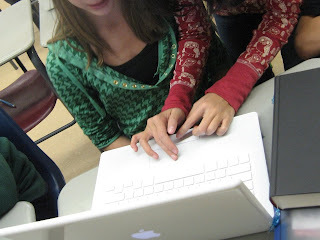 What impact has one-to-one laptop projects had on school library programs? And, are there changes that need to be made to the collection and my role as teacher-librarian? Please feel free to weigh in on the discussion! Over the last couple of weeks, I've had the pleasure of being involved with both the Grade 8 and 9 Philosophy classes here at CSS and at Island Pacific School in Bowen Island, B.C. in their study of pre-Socratic philosphy. The classes have been studying the subject together, collaborating using various internet technologies. As as team our Math/Science teachers are focusing on improving the numerical literacy of our students, from grade 4 to 9. During team meetings, teachers are beginning to discuss some of the foundational concepts that students struggle with in mathematics. I came away from the meeting with our math/science team absolutely energized and excited about our conversation. All of our teachers recognize that there are two fundamental, and very much related, concepts that our students consistently struggle with in math: proportion and number lines (number sense). Having to re-teach operations with fractions to our grade 9 students. Students not being able to correctly place any sort of fraction on a number line (they may put the fraction 7/8 between 7 and 8 – but closer to 8, of course, because 7/8 is a large fraction). Difficulty understanding the relationships between fractions, percents and decimals. I believe that the problems our students are having regarding developing a firm conceptual and operational understanding of these two topics is fairly universal. We know that there are some methods of teaching that promote thinking errors for proportional understanding – relying on the pie or pizza method of teaching fractions, for example. What we don’t have a firm grasp of, and what we are seeking assistance with, is good teaching practices from grades 4 to 9 on how to promote a deeper understanding of these universal mathematical concepts. We will look at enlisting the help of the Galileo Educational Network to help us sift through the research and design authentic learning experiences to promote deeper conceptual understanding of proportion and number sense. This team focus on basic skills in numerical literacy will be taken up in subsequent posts and videos from Calgary Science School classrooms. Next week four of our teachers are presenting at the annual Alberta Social Studies Conference. Canada: Your Story is My Story This presentation will cover a grade 9 project on immigration. Our school partnered with the Calgary Catholic Immigration Services and our grade 9 students interviewed recent immigrants to Canada. The students documented immigration stories, collected images and artifacts, and created iMovies that were then played back to the new immigrants during a celebration at the school. Your Dollar is Your Vote Jenn will explain the parts of this grade 9 project on global economics, which covered fair trade, globalization and how students impact the world through their own purchases. Tanya Stogre and Chris Dittmann are giving a presentation on Grade 5 History iMovies. Neil Stephenson is giving a presentation on the Cigar Box Project. "I Used to Think I Couldn't Draw"
Our grade six art students are currently working on a watercolor portrait project involving a number of steps and components- from developing life drawing skills, transferring the work onto watercolor paper, creating a background, learning about color mixing and painting techniques, to actually painting the portrait. When I decided to try this activity with them, I had very high hopes, but was a little nervous about whether or not my expectations were too high for them. In the past, I have done this project with older kids in grade seven and eight and at a later point in the year once many skills were established. I must say that so far the grade six kids have surprised and impressed me with their level of engagement, effort and willingness to get outside their comfort zone and just draw! For the drawing portion of the project students were asked to select a partner to draw. The students are responsible for providing each other with a great portrait to develop into a painting. This has made them accountable to each other both as the drawer and still-life model. 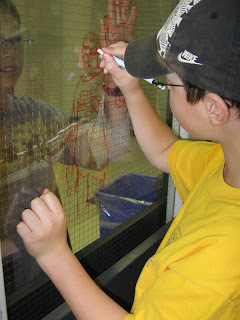 sent off into the hallways with clear mylar, wet-erase markers and their partners to find a window. The first step of the project was to trace the lines of their model onto the clear mylar. This is a great drawing activity for kids on so many levels. It is motivating and exciting for them to be out of the class and drawing in a very public location with teachers, peers and admin stopping by to check out their work. 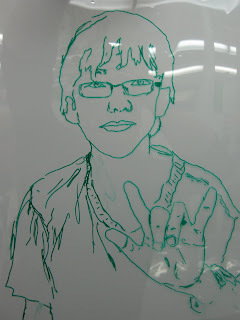 The clear mylar and glass provided a new and unique drawing experience...challenging, motivating and fun, while the wet erase markers made it easy to erase any mistakes and make corrections. Because the mylar was not the final product, but rather a step in the process, kids were very open to making changes to their work. In doing this activity, the students were challenged to make the switch from left brain to right brain processes. The projet pushed kids to move beyond what they "knew" a face looked like and to focus on the lines and shapes of what they were looking at. They were forced to move beyond drawing what they believed they understood about the subject and into developing stronger eye/ hand connections, bypassing the analytical left brain and tapping into their more creative right brain. This switch was evident in the focus the kids had and in the products they produced. Infact I was a bit surprised by how many times students came back to class well after the period had ended, stating that they had lost track of time (and didn't seem to notice the hundreds of students moving past them during class change). If not focused, they were certainly engaged! Another cool aspect of this project was that it is such a great transition for kids this age to move from "tracing" into "drawing" from life. It straddles the line as kids are asked to simply look through the glass and trace the person on the other side. "Just follow all the major lines", is what I asked of them. They delivered. This project has become a wonderful way for students to develop observation and drawing skills and to build confidence without the pressure of looking into a mirror or sitting across from the subject and wondering where to begin. One of my boys made this comment at the end of a recent class. "I always thought I sucked at drawing." "And now? ", I asked. "I rock it! ", he replied. Wow. That's a pretty great endorsement. The pride that the kids have in their work is impressive and the drawings are wonderful. Right now the students are just finishing the transfer of their drawings from the mylar to the water colour paper. I'm looking forward to moving into the painting process next. UPDATE: After publishing this blog post, Lorrie was approached by two art teachers from another school in the province. The two teachers were excited about the project and wanted to talk to Lorrie about how to use her ideas in their classrooms. We set up a Skype chat, and Lorrie was able to answer questions about this project, and help two other teachers get started. Thanks so much to Jen Deyenberg for setting up the opportunity. If other teachers are interested in the project, and would like to chat with Lorrie, please comment below. 50 of our grade 6 students are about to embark on a "Powerful Learning Opportunity." In light of this opportunity, we have decided to connect 50 of our grade 6 Humanities students with two student teachers from the University of Regina. Over the next few months, two student teachers, Amanda Marcenko and Danielle Gomersall, will be assisting our students as they work through writing their “Penny Books.” Amanda and Danielle will dedicate about 30-45 minutes a week to be ‘virtual student teachers’ in our classes. As it stands right now, the plan is to select a couple of students each week to share their writing with either Danielle or Amanda. Having access to the mini-lessons that our students are using to improve their writing, the student teachers will read and provide feedback to our students. Our students will use their Calgary Science School accounts to email their stories to the student teachers, and there’s also the possibility of having the student teachers video-conference directly with our students about their writing. 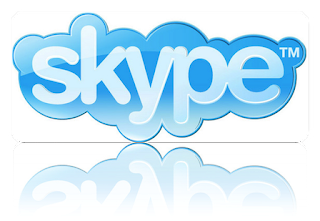 If this element of the collaboration works out, it would be done through my personal Skype account. Again, the overall goal is to help our students’ writing improve by increasing the amount of feedback they receive. We're excited about this innovative use of technology to improve our student writing. Thanks to Dean for setting it up! We'll be sure to report back on the project as it begins to unfold over the coming weeks.